Ladies and gentlemen, welcome to a new dawn in the age of esports. No longer is the “living in a basement” stereotype the first aspect people think of when they talk about games. 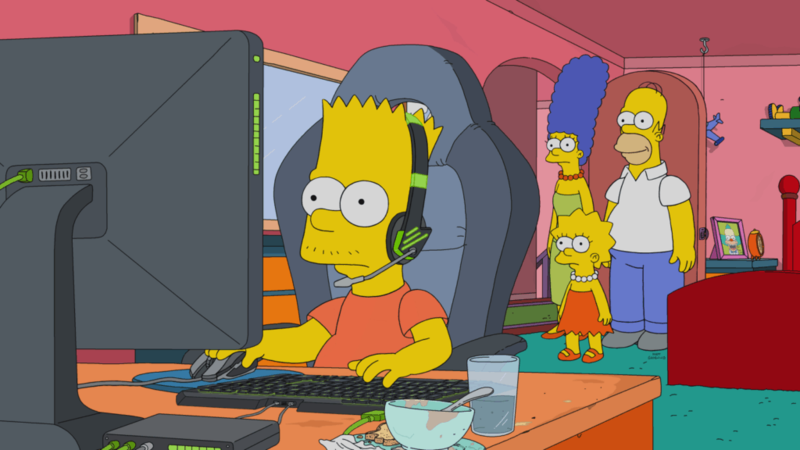 Esports is in the here and now, and The Simpsons is about to fully launch the much talked about genre into the casual sitcom space with Bart Simpson. Everyone with a television knows of The Simpsons. A middle class family who live and work in the town of Springfield, in an unnamed state in America. Homer, Marge, Lisa, baby Maggie and Bart, among many other characters, are all household names. Their antics are often lauded for being both humorous and culturally aware. The latter of which is harnessing the current ‘esports boom’ for the show’s upcoming new episode. Titled “E My Sports”, a fantastic play on Bart Simpson’s famous “eat my shorts” tagline, the skateboarding youth becomes addicted to an online game called “Conflict of Enemies”. For the purpose of the show, the game appears to be a parody of popular esports titles like League of Legends and Defence of the Ancients (DOTA). Homer becomes Bart’s passionate coach, before Lisa decides to bring her father and brother back to reality. Naturally, chaos ensues. 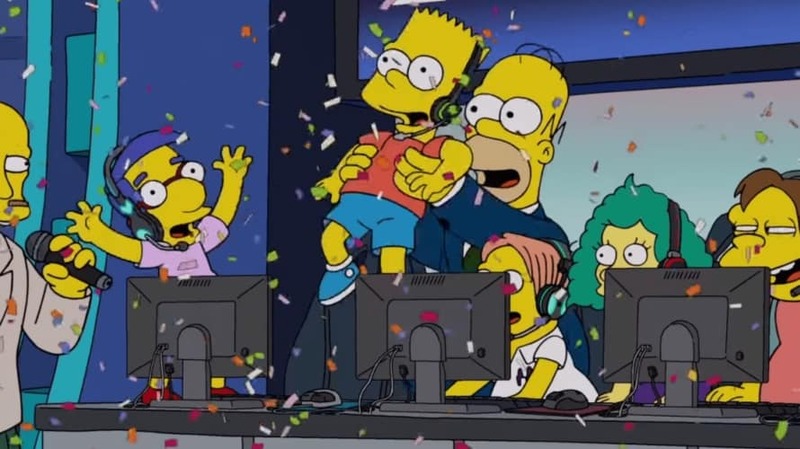 According to tweets from The Simpsons producer, Al Jean, and esports consultant, Rod Breslau, the staff of the show worked with Riot Games for the episode. Apparently the consultation took place in order to ensure that an “accurate representation of video games” takes place in the episode. 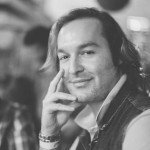 Given how this developer is in charge of one of the biggest esports titles to date (League of Legends), I would like to think that this was a very good consultant to have onboard. 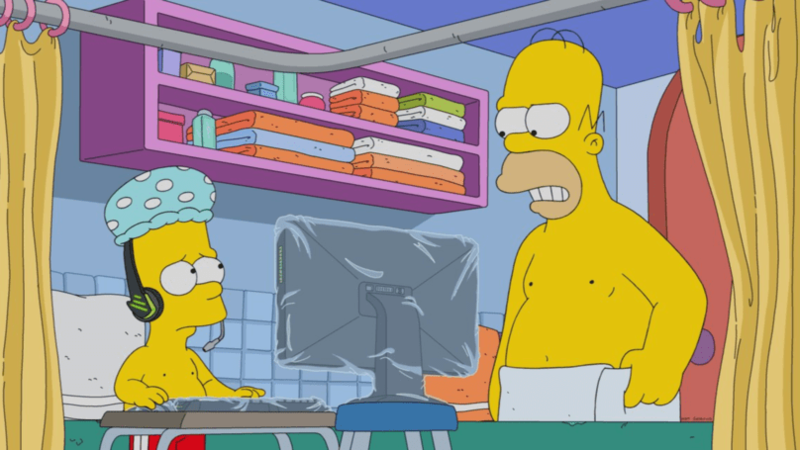 The fact that The Simpsons is putting a spotlight on esports is fantastic, but not unexpected. Esports viewership continues to increase on a yearly basis. The 2018 World Championship finals for League of Legends, for example, drew in over 100 million unique viewers. That is about as much, if not more, as the USA’s NFL Super Bowl. An impressive achievement for a digital sport. The “E My Sports” episode aired on 17 March 2019. Although I have not yet seen the episode in full, the clips that I have seen appear to be wonderfully culturally ‘on-point’, and will definitely be one for gamers to watch. I personally really enjoy that esports is proliferating into mass media. After all, it is time that everyone takes notice of just how important and revolutionary this new genre of video games is becoming.